Infused with the sweet, delicious flavour of Carabao mangoes, this is well balanced, smooth and tastes amazing. Enjoy chilled neat, over ice or with a mixer. 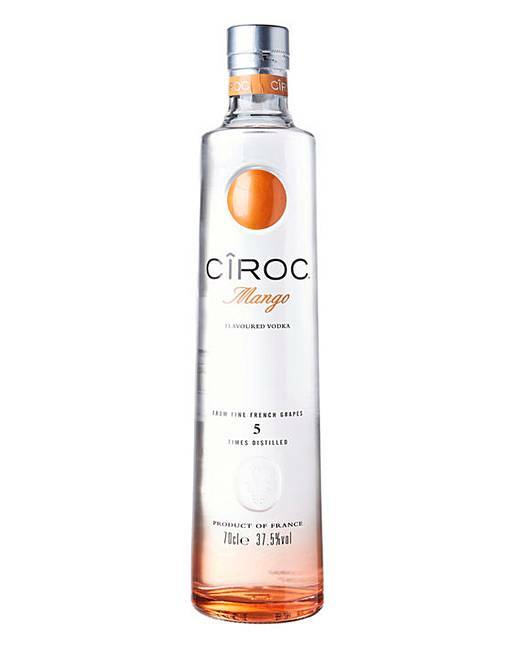 Unlike all other vodkas, Ciroc vodkas are made from grapes to maintain a unrivalled crisp taste and are distilled 5 times to guarantee a smooth finish.